Beaphar Malthearts are a pressed treat made from milk-extracts in a little heart shape. The treats are coated by a special process in malt extract which adds to their palatability. Each pack is resealable to keep the treats fresh, although your cat may try to eat them all at once. 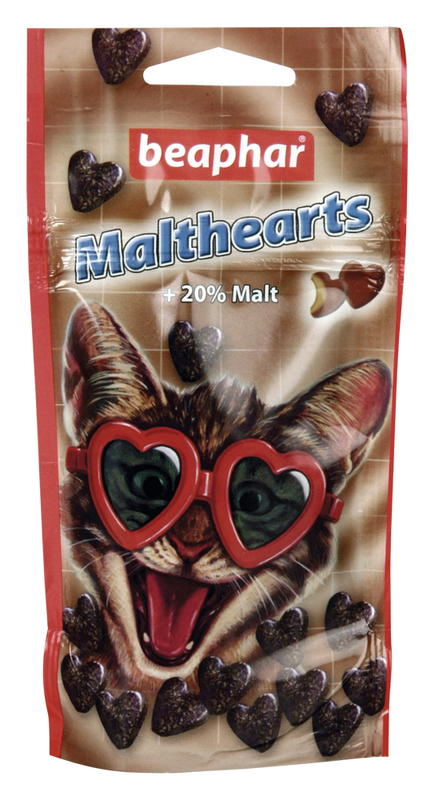 There are currently no questions for Beaphar Malthearts Cat Treats - be the first to ask one!